Exploration no. 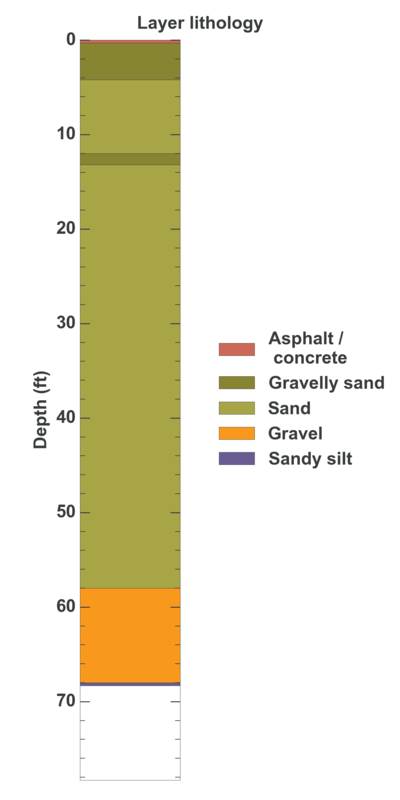 56401 is a Geotechnical (depth 68.3 feet) named: BH-2 described in subsurface document no. 10065. The document, a report titled King County, Environmental Laboratory Addition was prepared by HWA GeoSciences, Inc. on 02-01-2001 for a Retail / commercial building project.